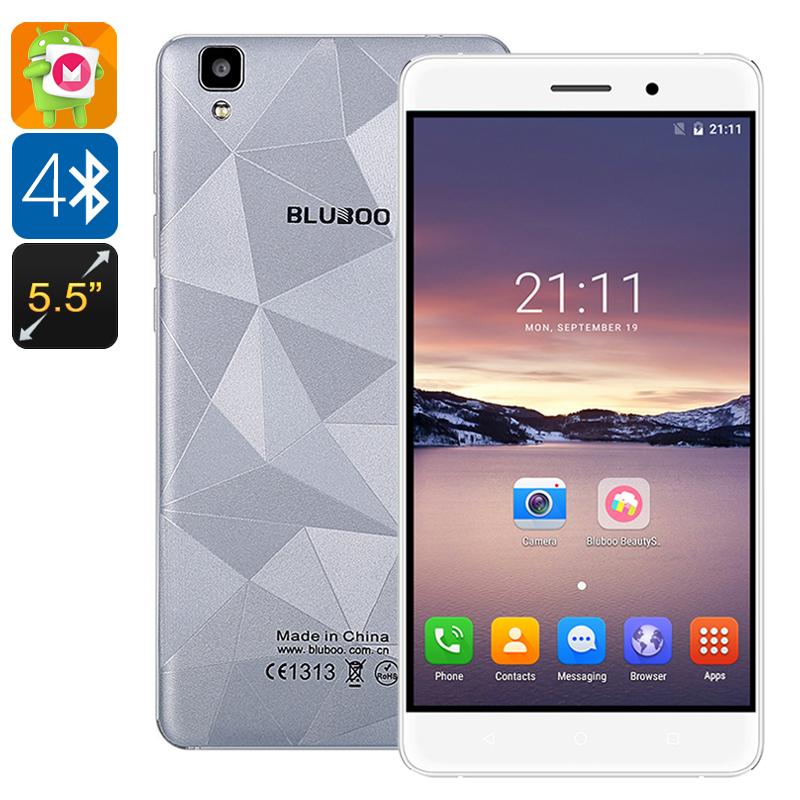 Successfully Added Bluboo Maya Smartphone - Android 6.0, Double IMEI, 5.5 Inch Display, 720P, Quad-Core CPU, Smart Wake, Gravity Sensor (Grey) to your Shopping Cart. Crafted out of aviation level aluminum the Bluboo Maya features an extraordinary design. Not only is this Android smartphone ultra-thin, but thanks to modern industrial engineering and classic style, this smartphone enjoys a truly amazing look as it has been covered in a unique Diamond-Texture design – making the Bluboo Maya a feast to the eye. Featuring the latest Android 6.0 Operating System this unique Chinese smartphone lets you enjoy a smooth and elegant user experience. With its large 5.5 inch HD display the Bluboo Maya forms the perfect platform on which to enjoy all your favorite media and games in mesmerizing quality. Its IPS screen delivers vivid colors and high contrast thanks to its 1400:1 contrast ratio – providing you with a marvelous visual experience. Additionally this Android phone lets you enjoy some of the latest features the mobile industry has to offer including Smart Wake and Gesture Sensing technology that will enhance your overall user experience significantly. The phone’s Quad-Core CPU has been clocked at 1.3GHz and is backed up by 2GB of RAM and a Mali-400MP GPU. Featuring all this powerful hardware the Bluboo Maya is fully capable of handling the most demanding of tasks, allowing you to enjoy the latest HD movies and most demanding games without dropping a single frame. With Google Play installed this Chinese smartphone gives you access to millions of free Apps, games, movies, and more that, thanks to the phone’s 5.5 inch HD display, can now be enjoyed in stunning quality. Backed up by a massive 3000mAh battery, this Android smartphone delivers enough juice to get through the most demanding of days without you ever needing to worry about running out of power. 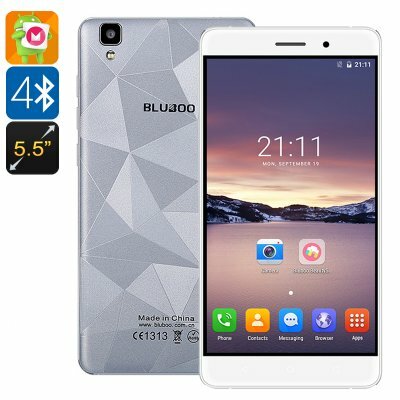 As mobile photography has become more and more important the creator of the Bluboo Maya decided to equip this unique smartphone with a professional-grade 13MP camera. Featuring a customized Sony image sensor and quick focusing this stunning mobile camera allows you to snap breathtaking photo’s instantly. Additionally, this camera features some of the latest facial recognition technology that ensures that you will always look at your best on your upcoming photos as the camera has been programmed to snap a picture automatically when a smile is detected. With the Bluboo Maya you will always carry around a professional-grade camera in your pocket, allowing you to capture clear and colorful images at any given moment. This Bluboo Maya comes with a 12 months warranty, brought to you by the leader in Chinese Smartphones as well as wholesale electronic gadgets.. The packaging is very nice! The phone is very beautiful, it is so lovely and much value for money. Will order another on so soon. Late delivery i think is because of the end of year festivals. I understood.